A top US navy admiral announces the re-establishment of the US 2nd Fleet -- a Cold War command disbanded in 2011 -- to patrol the North Atlantic and face a resurgent threat from Russia. The chief of US Naval Operations, Admiral John Richardson, made the announcement during a change of command ceremony Friday in the Atlantic naval port of Norfolk, Virginia. "Our National Defense Strategy makes clear that we're back in an era of great power competition as the security environment continues to grow more challenging and complex," said Richardson, according to a navy statement. The 2nd Fleet command was disbanded as a cost-savings measure in 2011, and its assets and personnel dispersed within the navy. The new command will be responsible for US naval forces along the US east coast as well as the north Atlantic region, a navy statement said. Before it was disbanded the 2nd Fleet played a key role during the Cold War years, with operations in the North Atlantic and supporting US naval forces in the Mediterranean. NATO naval officials in late 2017 also reported Russian submarines probing underseas data cables in the north Atlantic. 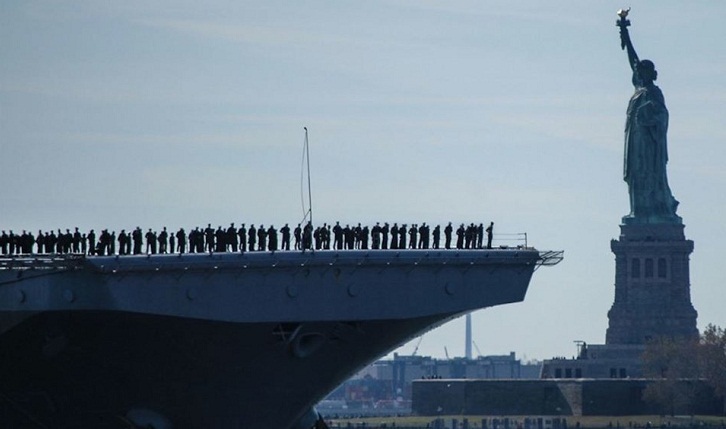 The 2nd Fleet command currently exists only on paper, but according to USNI News, a publication of the US Naval Institute, the command will open for business on July 1 with 11 officers and four enlisted personnel. The command will eventually grow to 256 personnel -- 285 officers, 164 enlisted and seven civilians -- USNI reported, citing a memo signed earlier in the week by Navy Secretary Richard Spencer. The decision to reactivate the 2nd Fleet followed increasing threats in the Atlantic from Russia, officials familiar with the decision told USNI News. Defense Secretary Jim Mattis said in January the United States is facing "growing threats" from China and Russia, and warned that the US military's advantages have eroded in recent years. "We face growing threats from revisionist powers as different as China and Russia, nations that seek to create a world consistent with their authoritarian models," Mattis said as he unveiled the Pentagon's national defense strategy. "Our military is still strong, yet our competitive edge has eroded in every domain of warfare," he added.